Both boardrooms and government agencies are guiding design teams to create the vehicles of tomorrow. But how you achieve cost-savings and meet standards all in a slick package remains the (insert outrageous cost projection amount here) question. 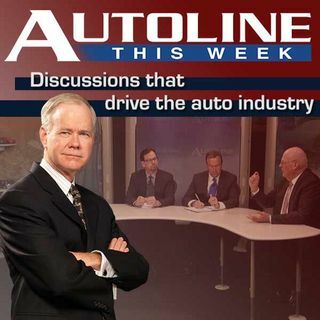 On Autoline This Week John McElroy brings together a cutting-edge panel of auto experts who are doing just that on the inside with interiors. Klaus Busse sees it from the OEM side as Head of Chrysler Group Interior Design. Meanwhile, representing the ... See More supplier community are Fiona Doskocz with Benecke-Kaliko and Gerald Winslow, VP of Sales and Marketing for InfiChem Polymers LLC.